A brilliant specimen from the exciting find of Demantoid garnets several years ago in Madagascar. 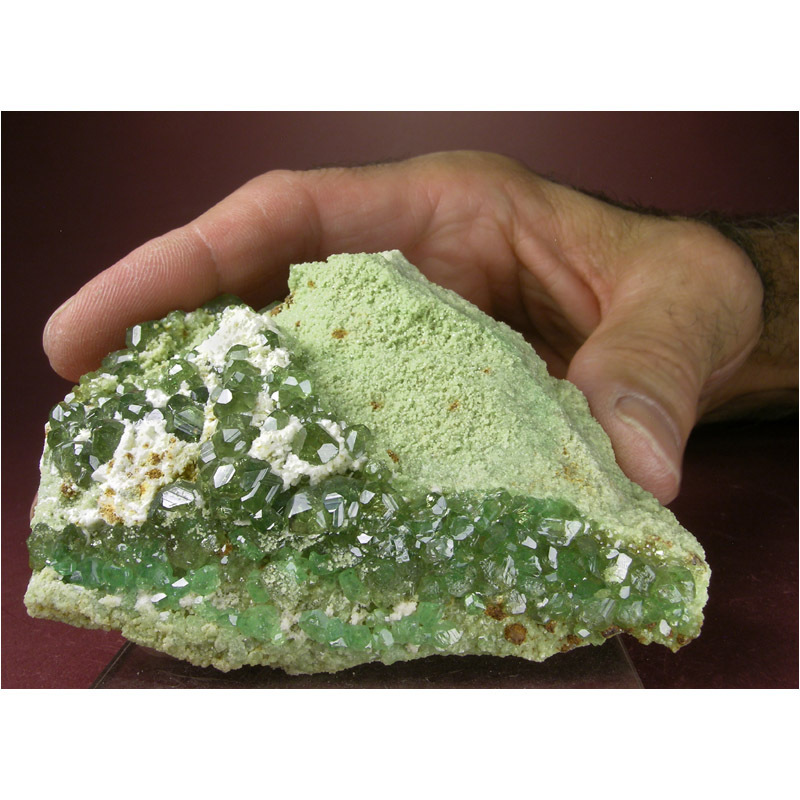 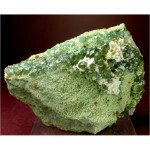 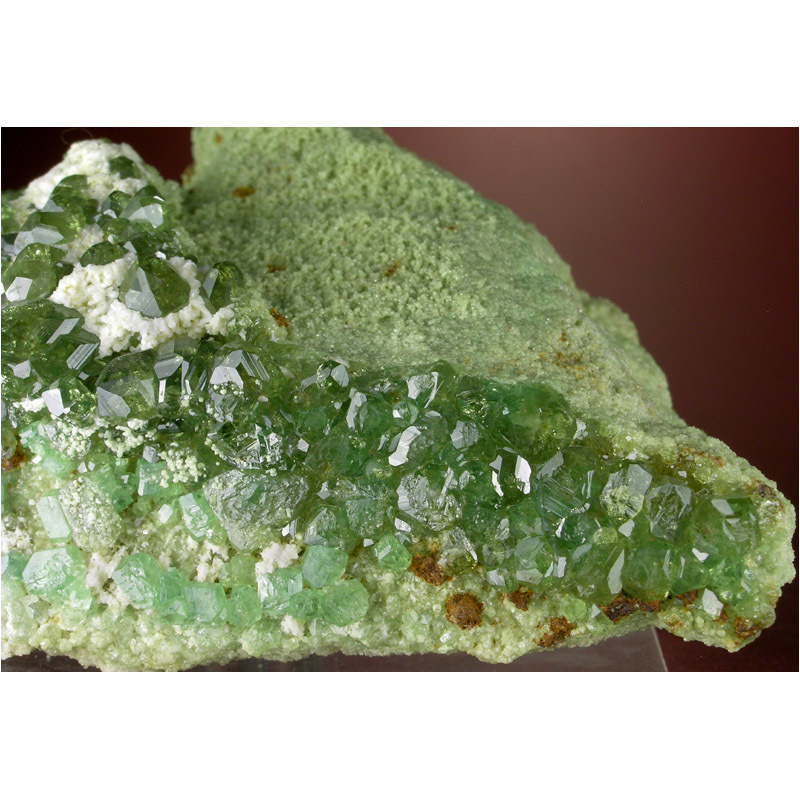 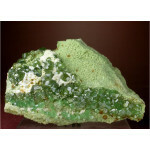 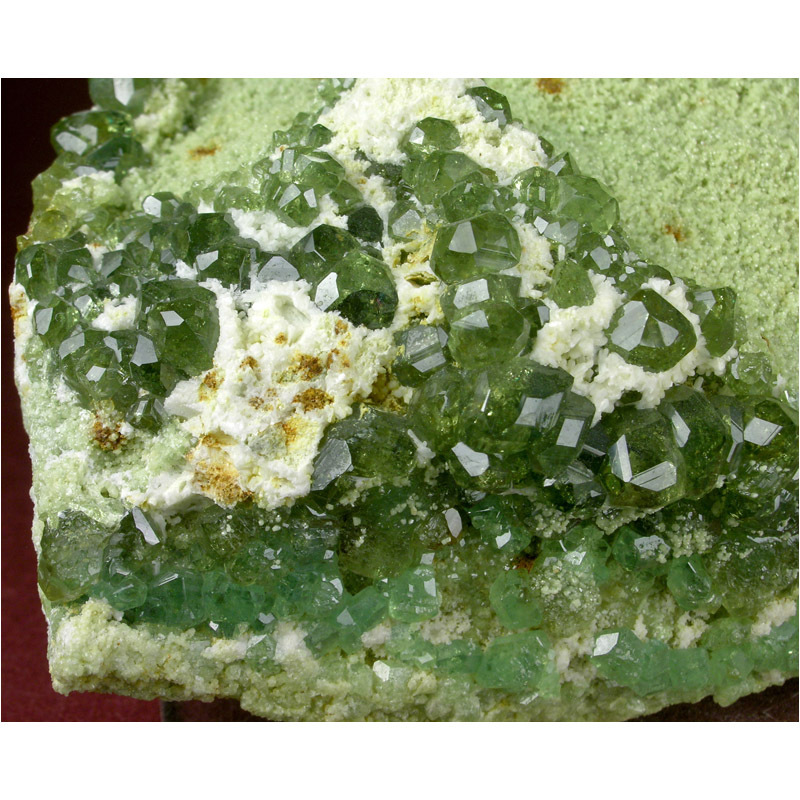 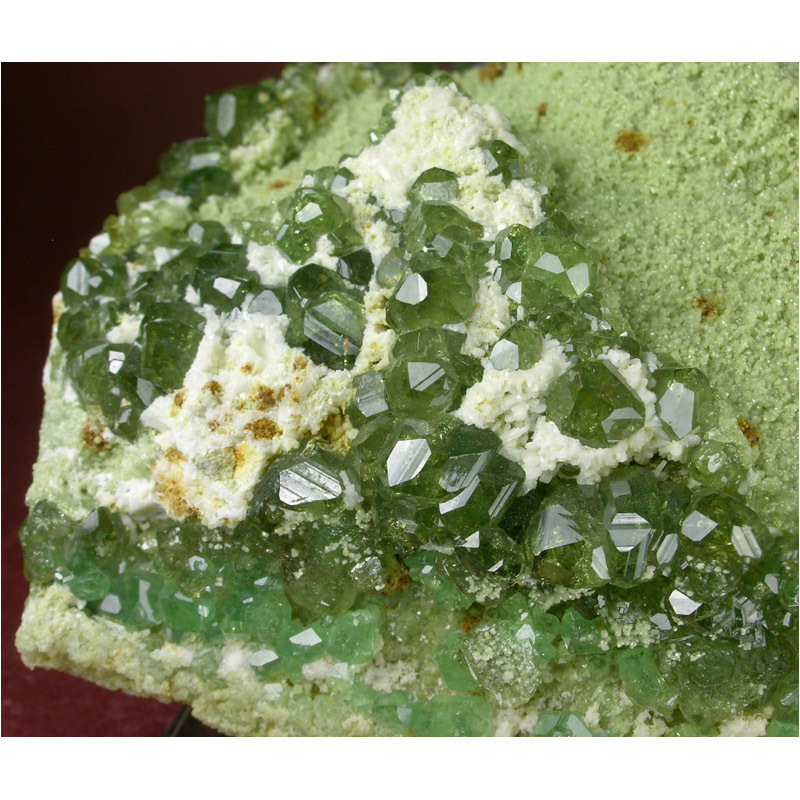 It features a large matrix which is hosting numerous highly lustrous and quite GEMMY crystals of lovely green Demantoid. 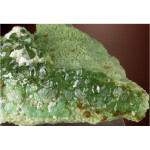 As the photos show, several shades of green are represented. 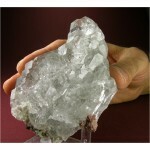 All in all, a very choice gem crystal specimen, with lots of amazing details for you to explore. 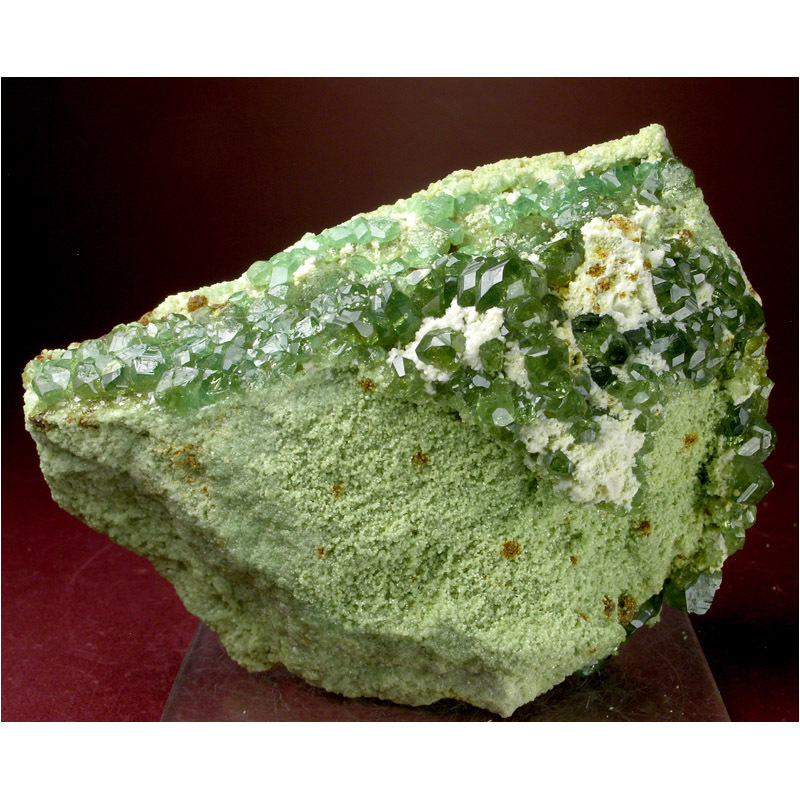 8.8 x 6.0 x 4.0 cm.